Course Description: This 19 hour class takes the knowledge and skills gained in the VRT 1 into patient contact. Additional systems training such as advanced anchors, belays and lowers, and rescue sequence management. 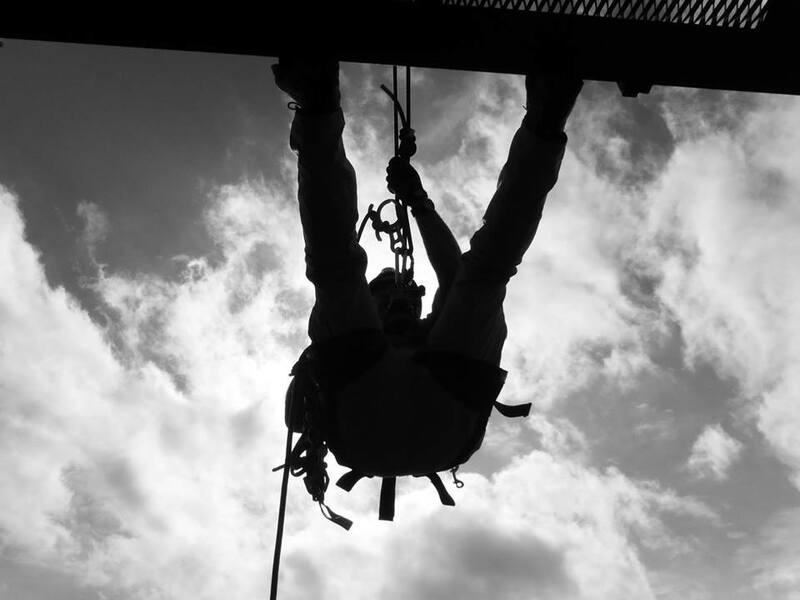 Technician will learn individual and team rescue applications such as the window washer pick off, mid line transfer, multiple belay lowers, securing victim into harness, line transfers, passing knots on line, advanced ascending, night challenge course and more. Prerequisite – Current RTI VRT 1. This class is a prerequisite for the VRT 3. Course Format: The VRT 2 course is normally taught in a 2 day format. Day 1 reviews safety and command procedures, establish rappel stations, review rappel and lock out sequence, patient harness, victim tie into a rescue basket, multiple rappels with problem solving missions, tandem medic rappels. Night training is an obstacle course for a team. Day 2 includes window washer pickoff, mid line transfer advanced ascend to rappel changeover including passing a knot on line, and patient lowers. The person completing this course will have the knowledge and skills to decide the proper course of action to locate, access, stabilize and transport a victim from heights. STANDARDS: This course meets and exceeds Industry standards and NFPA 1006 requirements to the level of this class. To completely meet all NFPA requirements the Technician would need to attend the VRT 3. Clothing appropriate for weather conditions (NO SHORTS) Shirts and long hair must be able to be tucked in or secured. RENTAL GEAR: RTI has a limited number of gear sets of Harness and helmet for rent. First come basis.